Crane Experts International, Inc. has many years experience in the field of crane safety. Crane Experts International, Inc. has a good success rate in accident investigations and assisting attorneys preparing for trial. 1. I have been in business since 1987. 2. Crane Inspection Services, Inc. is qualified to inspect cranes as per 1910, 1926 and ANSI/ASME guidelines. Crane Inspection Services, Inc. is a recognized private agency through the Department of Labor to perform the required certification surveys (examinations and testing) and to issue and maintain the requisite records of those shore-based material handling devices requiring certification under the OSHA maritime safety and health regulations (29 CFR Parts 1915, 1917 and 1918). 3. We are capable of load testing, inspecting, and performing crane operator training/schools for all types of cranes that are general industry and construction related. 4. I was licensed and approved through the state of California OSHA. 5. 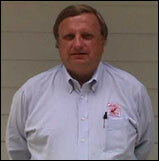 I am the Past President of the Crane Certification Association of America (CCAA). This is a national association whose membership consist of agencies nationwide. 6. I am a past instructor for the U.S. Department of Labor in the 1910 Standards as it relates to cranes. 7. I am now one of a small number of delegates from the United States of America to the Technical Advisory Group (TAG) within ISO, Technical Committee for Cranes TC96. This committee meets with other international safety delegates to discuss the formulation of crane safety guidelines. 8. I perform numerous inspections on various types of cranes nationwide. 9. I am an Accident Investigator of crane accidents nationwide and have been involved in numerous accident/investigations. 10. I have been hired in the capacity of Expert Witness for a number of law firms over the years and I would like to list the most recent ones below. We pride ourselves on our timeliness and look forward to the opportunity of serving you. If you would like additional information, samples of our inspections, references for our company, or information about Crane Operator Training please don't hesitate to call us at (251) 928-6262 or e-mail us. We are here to serve you. Copyright 2002-2013, Crane Inspection Services, Inc.